It seems like this game just keeps on getting more exciting, Epic Games the games developer for Fortnite which is arguably the most popular, battle royale game played this year is confirmed to be getting a season 4, Fortnite season 4 is now available with the updates for save the world and Fortnite Battle Royale. 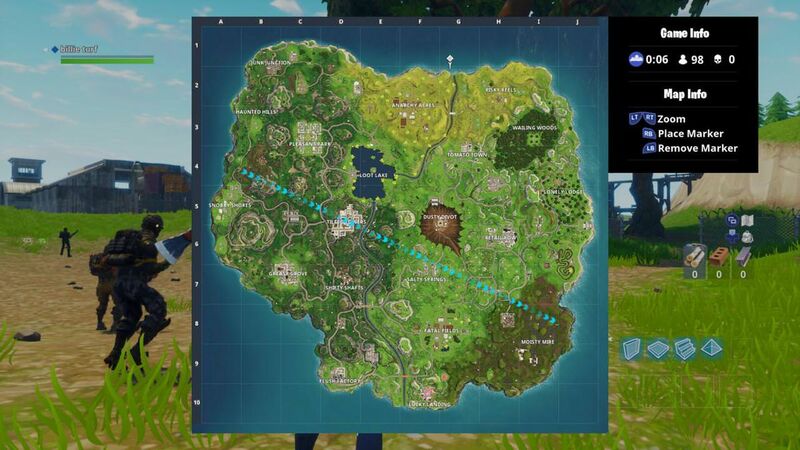 Fortnite Battle Royale players new content is based on the event for this game called Fortnite Comet which is all about how a comet crashed which landed in the middle of the game’s map to establish major changes to this games dynamics. The trailer shows the setup for where players start off in Fortnite Battle Royale Season 4. A comet crashes into and destroys Dusty Depot — now called Dusty Divot as a result — instead of the expected Tilted Towers. There are now a range of customisable construction surrounding the remnants of the comet in the centre of the crater; while that all is destructible, the comet itself is sadly unbreakable, Battle Royale’s gigantic island also suffers other impacts: Craters now appear in a variety of locations; this was one big meteor. There’s also a brand new location called Risky Reels. It’s up in the Northeastern part of the map and, based on the trailer, was the previous location of Battle Royale’s own drive-in the cinema. The good news is, hey, there’s a cool new location to explore; bad news is that, for some players, the previously uninhabited area of the island was a great landing spot. The new map in Battle Royale, full of craters and a new area. Brace for impact! Season 4 starts with a BANG. Play now! Play Fortnite Battle Royale, the completely free 100-player PvP mode. One giant map, A Battle Bus, Last one standing wins. ESRB Rating: Teen with Violence.